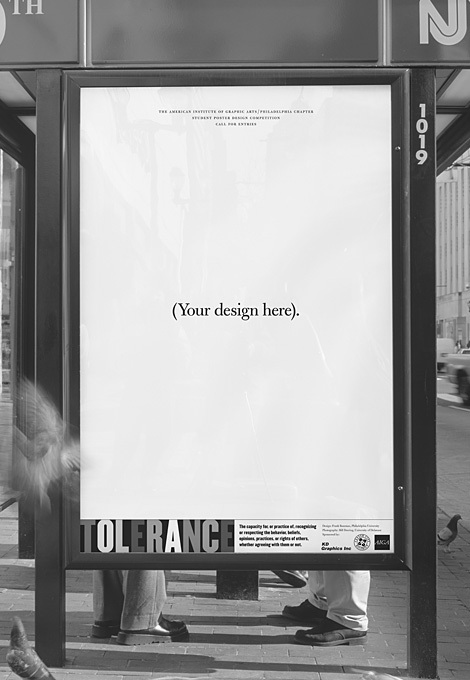 Post 9-11, poster announcing a student poster design competition using the theme of “tolerance,” as in why can’t we all just get along. 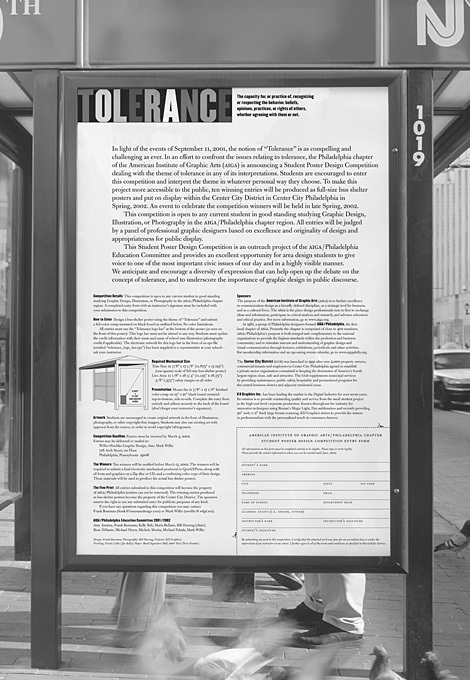 Winning entries were displayed as bus shelter posters in an open-air exhibition on the streets of Philadelphia (photography by Bill Deering). See article.